Acworth quickly authorised purchase of all the barren land below the ridge, encouraging James to try out new methods of drainage, purification and recycling. James redesigned the asylum’s dry latrines to flush and filter its “night soil” through a new system of tanks, wells and Persian lifting wheels. 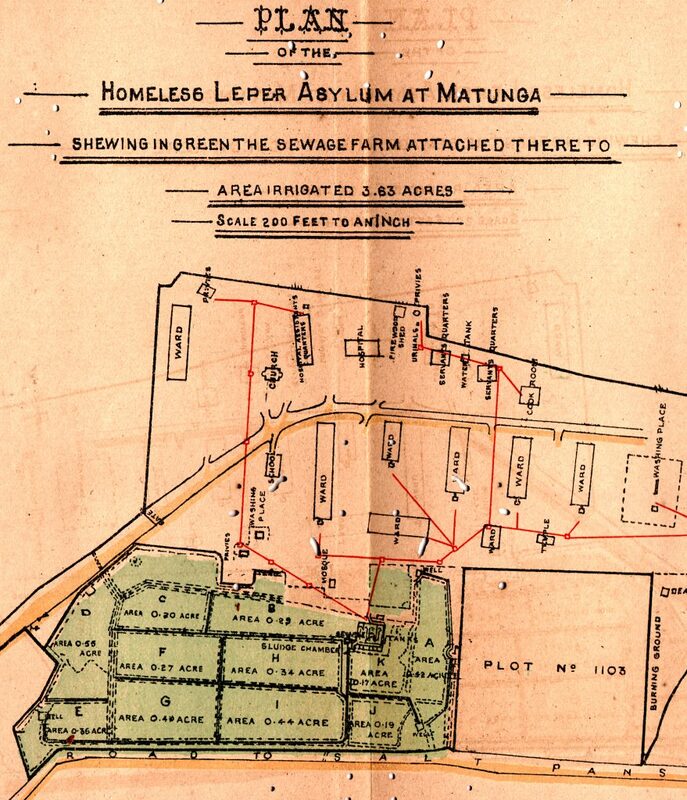 By 1895, 20,000 gallons of effluent were purified daily through filters and beds made of lime, coal and burnt brick, then pumped to the low-lying plots south of the asylum, to irrigate an experimental farm. Paid and fed but compelled to work on the sewage farm, within three years the lepers had regenerated six acres of what had been “stiff yellow clay” with rotating crops of jowar, vegetables, and fruit trees and fodder grass, fertilised by their own purified excrement. 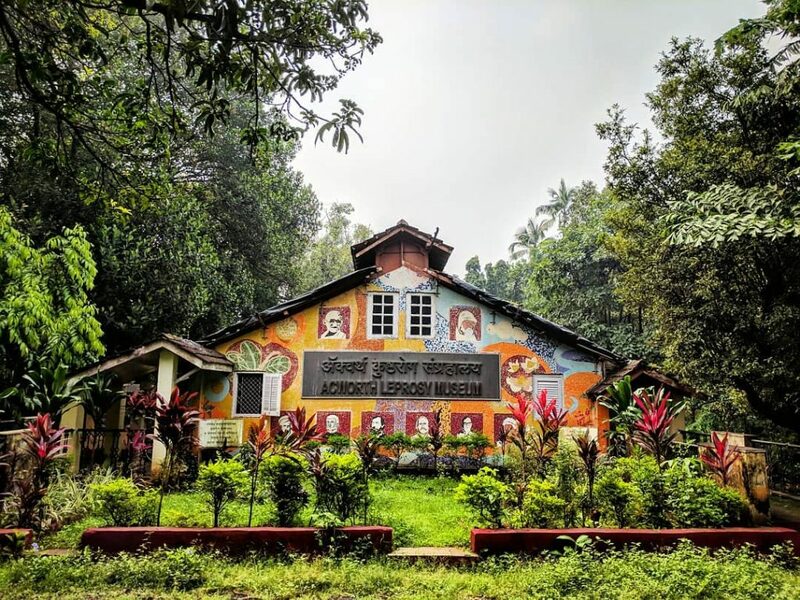 The farm provided food for the asylum and for sale in municipal markets, as well as to feed bullocks and horses in the city’s many stables, on whom Mumbai’s local transportation then depended. Buoyed by the farm’s success, James continued his research into sewage purification and capturing “septic gas” for energy. The most promising new filtration method was designed by Col Walter Mardon Ducat, a retired Royal Engineer who had worked for the Bombay Port Trust and Poona Municipality in the 1870s. James re-fitted three septic tanks in Matunga with new bacterial filters which Ducat had just patented in Europe and America. In 1901 he visited England to observe how heating and lighting was being powered by “gasification” of solid waste in Exeter and Manchester. James returned to Bombay from England to experiment with using marsh gas for powering an engine, one of the first of its kind in the world. He sealed one of the farm’s septic tanks with an air-tight cover made of galvanised iron. Bacteria digesting the sludge in the airless tank produced a mix of methane, hydrogen and nitrogen gases. It was drawn through a one-inch underground pipe from the sealed tank into a 4×5 foot iron holder, chained to pillars and submerged in an old well. As gas was pressurised into the floating holder, it was piped out to an engine. James harvested India’s first bio-gas in Bombay after the monsoon in three weeks between September and October 1902. At first the engine could only drive a central pump for lifting effluent through the aslyum’s drainage network, and it took further research and tinkering for James perfect his invention. The inmates’ daily regime and controlled diet allowed him to closely study the bio-chemistry of their digestion. He discovered the amount of bio-gas needed to generate one foot of horse-power was about double that of coal-fired gas, and adapted the pressure, temperature and ignition of his gas engine. 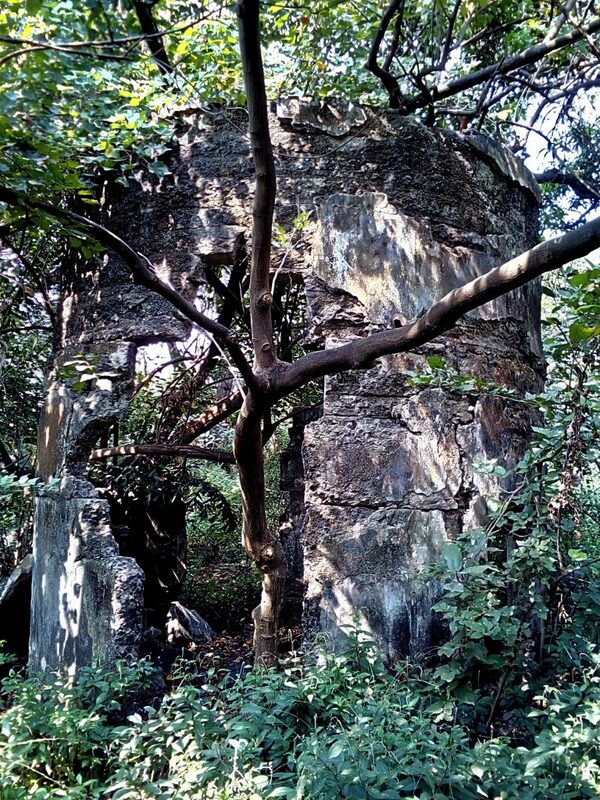 By 1903, the Matunga plant was producing 100 cubic sq.ft. of purified bio-gas every eight hours, more than enough energy for all the needs of the asylum. Within the next two years, bio-gas mantle lamps lit the entire asylum grounds and wards, as well as streets and lanes in Matunga and Wadala – neighbourhoods illuminated much before other parts of the Island City. The gas works drove eight ring stoves for cooking in the hospital kitchen, eliminating the need for firewood. More than a hundred more lepers were admitted to the hospital in newly constructed “James Wards”, built from the profits of the organic farm and gas works. In 1906, C.C. 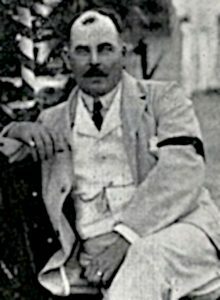 James was transferred to Egypt to work on the drainage of Cairo and the Suez Canal, for which he was one of the last foreigners knighted by the Ottoman Sultan before the outbreak of World War I. He returned to private practice in Westminster in 1915, where he was involved in numerous reclamation, docks and canal schemes in Greater London. His works on the sanitation of colonial cities, Oriental Drainage (1902) and Drainage Problems of the East (1906) remain reference works in environmental engineering. James’ novel gas works ceased operation sometime in the 1930s, after the Bombay Improvement Trust (BIT) acquired the neighbouring villages for new residential housing schemes, and the BEST (Bombay Electric Supply and Tramways) and Gas Company brought electricity and piped gas to Matunga and Wadala. 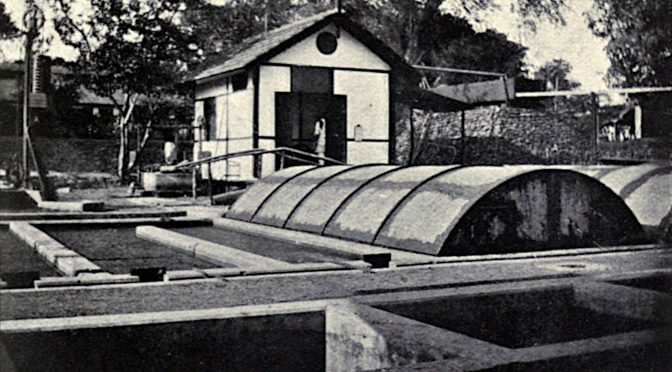 James’ and Ducat’s techniques of filtration and disposal were implemented in the municipal purification works and sewage outfalls built in the 1940s in Dadar and Dharavi, which made possible flushing toilets, multi-story housing, and the northward march of suburbanisation. The sewage farm at the Acworth Municipal Leprosy Hospital continued to yield food and daily exercise for the lepers, whose numbers peaked in the 1960s and have now dwindled to fewer than a hundred, with widespread eradication of leprosy in India. 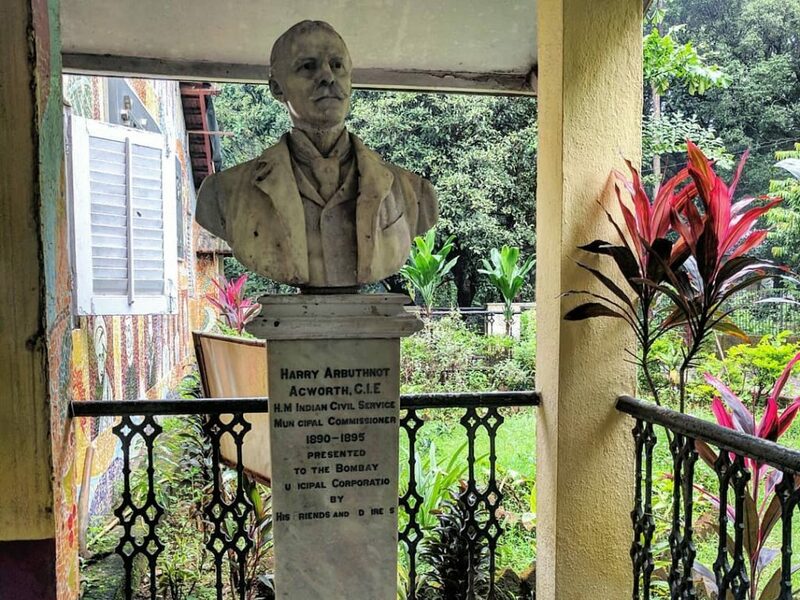 Though James’ gas works – hidden in trees behind a wall on the western end of Wadala Bridge – will soon disappear, his innovations in clean energy are richly documented at the Acworth Leprosy Museum on the hospital grounds, today a lush urban forest. 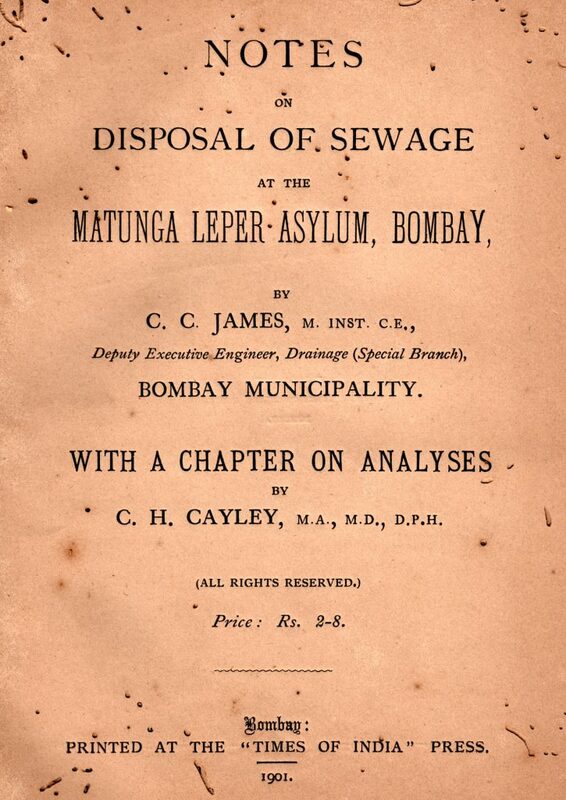 As he noted in his report to Commissioner Acworth in 1902, “at Matunga, the ordinary passer-by has no idea that the green plots he sees are being daily irrigated with 20,000 gallons of sewage effluent, for there is no nuisance”.